The key signaling pathways in cellular processes involve protein-protein interactions (PPIs). A perturbation in the balance of PPIs occurs in various pathophysiological processes. There are a large numbers of experimental methods for detection of PPIs. However, experimental PPI determination is time consuming, expensive, error prone and does not effectively cover transient interactions. Therefore, overlaying and integration of predictive methods with experimental results provides statistical robustness and biological significance to the PPI data. In this chapter, the authors describe PPIs in terms of types, importance, and biological consequences. 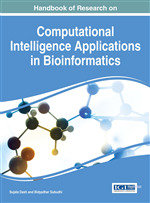 This chapter also provides a comprehensive description on various computational approaches for PPI prediction. Prediction of PPI can be done through: 1) Genomic information based methods 2) Structure based methods 3) Network topology based methods: 4) Literature and data mining based methods 5) Machine learning methods. For ease of use and convenience, a summary of various databases and software for PPI prediction has been provided. Proteins are essential macromolecules that perform diverse functions in association with other macro and small molecules. Biological processes involve interplay between protein-protein interactions (PPIs) as cell to cell interactions, metabolic and developmental processes are governed by PPIs. A perturbation in the balance of PPIs occurs in various pathophysiological processes due to varying expression levels of disease related proteins. Specifically, PPIs also modulate the host-pathogen interactions in the initial stages and host response in later stages of infection. Modeling PPIs at a large scale for study of topological parameters and essentiality leads to identification of crucial players and pathways in the disease condition. Since proteins may have different interacting partners under diseased and normal state respectively, identification of drug targets from PPI networks is also carried out. Targeting PPIs presents a novel approach for developing therapeutics with high specificity and fewer side effects. Moreover, PPIs aid in forecasting the function of a target protein and drugability of a molecule. There are a large numbers of experimental methods for detection of PPIs that have led to the accumulation of PPI data in publicly available databases. However, experimental PPI determination is time consuming, expensive, error prone and do not effectively cover transient interactions. Therefore, prediction of PPIs by computational methods represents an important development. Overlaying and integration of predictive methods with experimental results provides statistical robustness and biological significance to the PPI data. Literature and data mining based methods. Knowledge based Interfacial Potential: These are statistics based energy function that is derived from previously available protein complexes in various 3D structure repositories like PDB. Z-Score: Z-Score is a standard score which signifies how much a score deviates from mean. Z-Score of zero means score is equal to mean. Empirical Function: Function based on counting number of different types of interactions (hydrophobic, H-bonds and other Vander wall forces) between interfaces of binding partners. Feature Space: Space associated feature vector. Pattern Recognition: A branch of machine learning that deals with identification of regularities and patterns in a given data. SBML: Systems Biology Markup Language. Feature Vector: It is a vector with n-dimensions that stores numerical and measurable features representing some objects. XGMML: Graph modeling language XML file. Hyperplane: Hyperplane of an object is a subspace with one dimension less than the space surrounding the object. For example, if a space is three dimensional then two dimensional planes constitute its hyperplane.